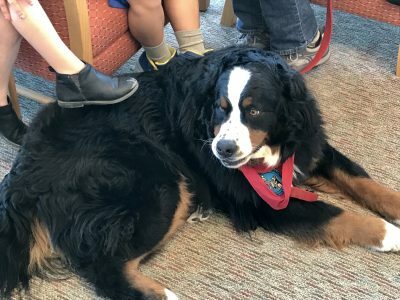 Our trained reading therapy dog Coco loves to listen to kids read to her. Please call PCL at (231) 223-7700 for available appointments. Each appointment is 15 minutes. Sign up today and share a book with Coco! 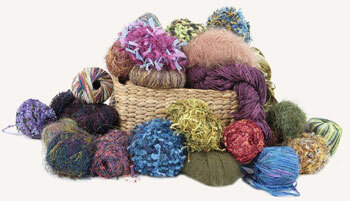 Join us every Tuesday morning 10 am – 11:30 am to share your ideas and work on your latest project. All levels are welcome. Good company provided! 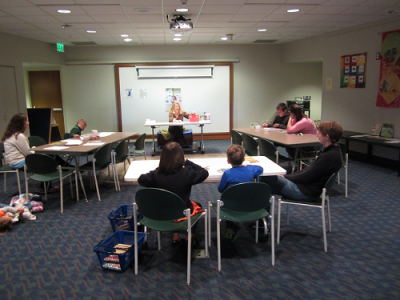 Interlochen Public Library's Let's Play Bridge! 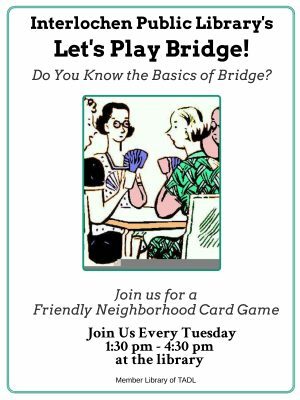 Do you know the basics of bridge? 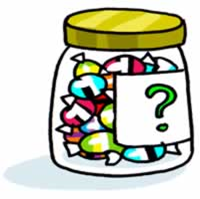 Join us for a friendly neighborhood card game, every Tuesday 1:30 pm - 4:30 pm at the library. 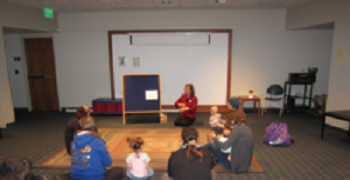 Pre & Early Readers are invited to this language building program with their families. 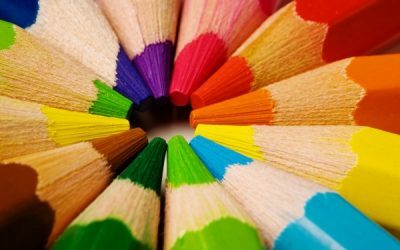 Join in our monthly, adults-only, coloring night with coloring pages, artist pencils and herbal tea. Relax and unwind!